Our client is devoted to your personal and professional development. You will work directly with attorneys and staff and receive mentorship from accomplished individuals. Other bonuses include generous medical coverage, paid time off, and company holidays. Located in the heart of the Bay Area, the firm’ s premier location allows for you to serve in leadership roles throughout the community and engage in a variety of non-profit and professional organizations. Christie joined ABA in 2017 as a Legal Recruiter. She began her career as an Employment Manager at the Hyatt Regency Lake Tahoe and most recently spent several years as a Coordinator at Thomson Reuters Expert Witness Services. Christie joined ABA to combine her knowledge of the legal industry with her passion for employment and recruiting. She is very excited to be a part of this team that works closely with both Clients and Candidates to bring together an ideal partnership. Originally from the Bay Area, Christie received her Bachelor’s degree from Sacramento State University in Organizational Communication with a minor in Human Resources. 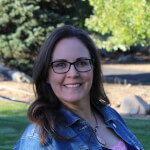 She spent several years in Truckee, CA and currently lives in Reno, NV with her family. Favorite things to do in the Reno: Camping at Lake Davis and day trips to Donner Lake with my husband and three children.